Did you know that choosing the right moisturizer is one of the easiest steps you can take to protect your skin? Moisturizing daily keeps your face looking young and fresh – and it’s a skin-saving step that takes just a few seconds. But finding the right moisturizer can be tricky. Moisturizers come in so many forms with long lists of ingredients, and some are better for certain skin types. If you’re looking for the right moisturizer to keep your skin at its best, use the following five tips to find the perfect moisturizer. Normal: Your skin doesn’t look flaky or oily. It feels smooth and is free of major blemishes. Oily: Your skin looks shiny and may even feel slick. Dry: Your skin feels very tight and may look flaky. Combination: Your skin has some oily areas and some areas that feel normal or dry. Sensitive: Your skin is very sensitive to both ingredients in skincare products and changes in the weather. You’ve probably had rashes or breakouts caused by one of these irritants. Your skin type determines which kind of moisturizer you’ll need. For example, dry skin needs a thick cream to lock in moisture while sensitive skin needs products that won’t cause redness or irritation. Oily skin needs a lightweight lotion that won’t clog pores or increase oiliness. Figuring out your skin type is easy. You’ll want to assess your skin in its natural state, so you’ll need to wash your face. Remove any makeup, oil, and dirt. Wait for two hours without applying any products to your face – not even your usual moisturizer or lotion. After two hours, take a close look at your face in the mirror. Feel for oily or dry areas with your fingertips. You should be able to determine your skin type based on what you see and feel. You might have the best intentions when it comes to moisturizers but sabotage yourself by applying at the wrong time. The best time to apply a moisturizer is right after you’ve washed your face. The warm water you use while washing will remove oil and leave your face as clean as can be. Once your face is clean and dry, apply your moisturizer. Your skin will soak up the moisturizer, giving you a base that’ll hydrate your skin all day long. Aim to get into the habit of applying moisturizer both in the morning and at night before you head to bed – and always wash your face first. If you’re in a rush, you might be tempted to skip steps in your skincare routine. However, no matter how fast you need to get out the door, it’s important to give products time to work. When you’re applying moisturizer, Real Simple² recommends that you let it sink in for about 60 seconds before you apply foundation or other products. Waiting just one minute allows the product to penetrate your skin, giving your cells the moisture they crave. The American Academy of Dermatology³ estimates that about one in five Americans will develop skin cancer. One of the best ways you can protect yourself from skin cancer, skin damage, and signs of early aging is by wearing sunscreen on a daily basis. Every day, you should apply a broad-spectrum sunscreen with an SPF of 30 or higher. No matter your skin type, you can find a specialty moisturizer that includes sunscreen. Make sure your daytime moisturizer includes an SPF so you’re applying sun protection before you head out for the day. You should wear sunscreen even when it’s overcast outside or you’re spending the day inside. Harmful UV rays can burn your skin even when you can’t see the sun or through windows when you’re indoors. Not all moisturizers are created equal. Some moisturizers can actually do the exact opposite of what they claim, drying out or harming the skin. 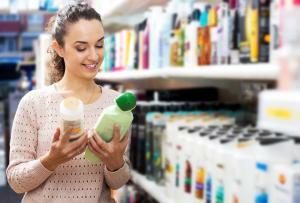 Many products even contain ingredients that may irritate or damage your skin. Perfumes and dyes: Fragrance and color might be nice, but these ingredients may dry out or irritate skin. An excess of acids: Some acids, such as salicylic and glycolic acid, are used to address problem skin. However, too many acids can cause damage to your skin and may lead to allergic breakouts. Steroidal ingredients: If you have dry or sensitive skin, you may use a moisturizer with a steroid such as hydrocortisone. However, it’s important to avoid choosing a daily moisturizer with steroidal ingredients to prevent skin damage. Alcohol: If you have very dry or sensitive skin, avoid moisturizers with alcohol. Alcohol can contribute to drying and cause rashes. 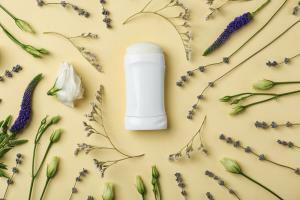 You’re armed with the information you need to choose an effective moisturizer, and you’re ready to head out and shop. Don’t forget to complete the necessary steps to find your skin type first. Then, research moisturizers designed for your skin type online. Search for best sellers, popular products, and moisturizers designed and specially formulated for your particular skin type. Be sure to evaluate their qualities and ingredients. Remember that price doesn’t necessarily equal quality when it comes to moisturizers. You don’t need to buy an expensive product to get good results. Ingredients, SPF rating and budget friendliness all matter more than cost when it comes to keeping your skin well moisturized. If you’re interested in finding the right moisturizer for your skin type, start a search today.